Turkish and Mediterranean cuisine in a family run restaurant, this constantly busy venue doesn’t do small portions, which can only be a good thing as the food here is excellent. 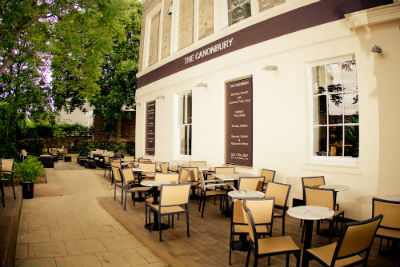 Delightful all year round, The Canonbury is a particularly nice spot for the summer due to its claim of one of the largest pub gardens in the city. Tranquil and stylish, the food is good here- and it was a regular haunt of George Orwell.  The Seagrass offers a three course menu, focussing mainly on game and seafood, in the setting of a 19th century pie and mash house. This restaurant really does have great character and they will also be offering seafood masterclasses with the head chef this summer. Not only is the food absolutely delicious in this lovely Italian on the corner of the high street, but the service is excellent giving it a warm and happy atmosphere. Perfect for any occasion or, since they do takeaway, a Sunday night in. The Gun sits right on the river offering a rather lovely view all year, but especially in the summer months. The menu is fantastic and they offer good ales and cocktails. 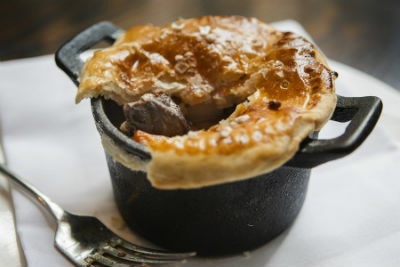 Enjoy a rather unique dining experience here in a restaurant that is hidden in a clothes shop on Bricklane. 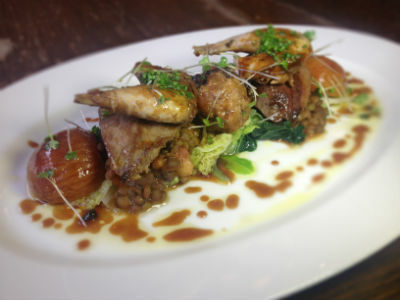 Intimate and relaxed, Back in 5 Minutes has friendly staff and offers up a tasty modern European menu. If you’re in a hungry group then head to Made in Italy where they’ll serve you a Pizzametro, a metre-long pizza complete with strips of different ingredients so everyone is happy. A lovely setting, the restaurant also opens their roof terrace in the summer months. Tom and Phil met in 2010 whilst both working at the same restaurant and then they decided to go at it alone serving burgers at festivals to begin with. And thank goodness they did. The outcome was Honest Burger, one of the best burger chains in London. The one in Brixton Village has a particularly nice atmosphere; the only thing you have to worry about is braving the queue. The Anchor & Hope is in a great location, handy for both the Old and New Vics, but even if the theatre isn’t on the cards, this pub is perfect for any day of the week. Terrific food and a relaxed atmosphere make this extremely popular – but be warned they don’t take bookings so get there early for an evening table. It comes as no surprise that Claude’s Kitchen is extremely popular – not only is the food excellent, with fresh British ingredients and fish that comes in daily from South Cornwall, but the service and atmosphere is warm and welcoming. Head here for a charming and relaxed evening. A favourite with the Country Life team, Tinello was opened in 2010 by two brothers and serves up fine modern Italian food using the freshest ingredients – the crab salad on the menu this summer has been a big hit and their zucchini fritti are some of the best in town all year round. 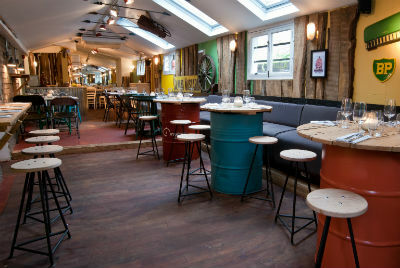 Run by two brothers from West Sussex, The Shed uses all local suppliers including the third brother of the family who is a farmer in Nutbourne, and focuses on a colourful menu where no part of an animal is wasted. Great food, great fun – if you live nearby, you’re lucky to be a local. 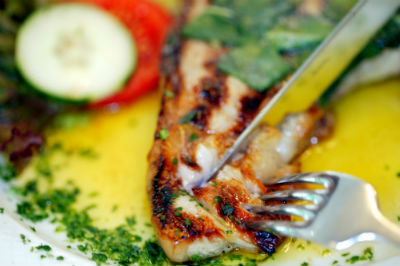 This family run tapas restaurant offers delicious food, generous portions and a warm atmosphere. Handily, Los Molinos offers pre-theatre deals too making it perfect for grabbing a bite before seeing a show nearby. Clockjack Oven is all about the rotisserie chicken, using the clock jack spit roasting method, meaning that you get to watch the chicken cook, revolving around a flame behind the counter. The sides are all mouthwatering and there’s a good selection of sauces.